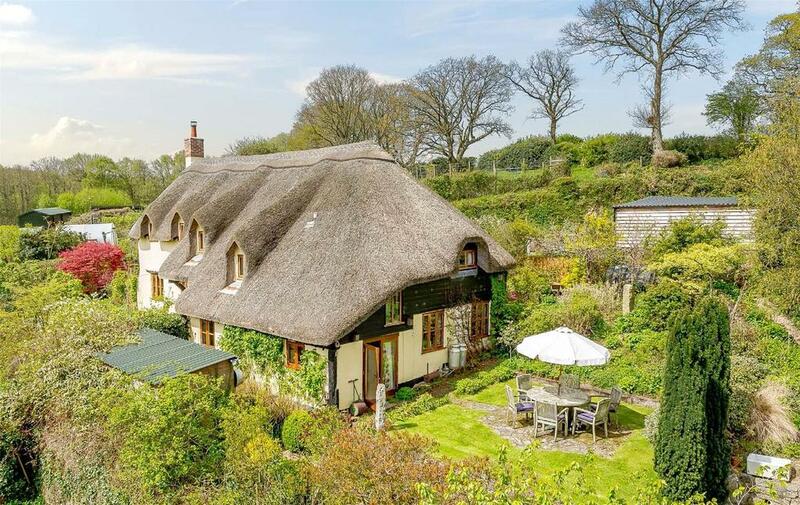 What could be more romantic than living in the wild, rolling hills of the West Country moorland? 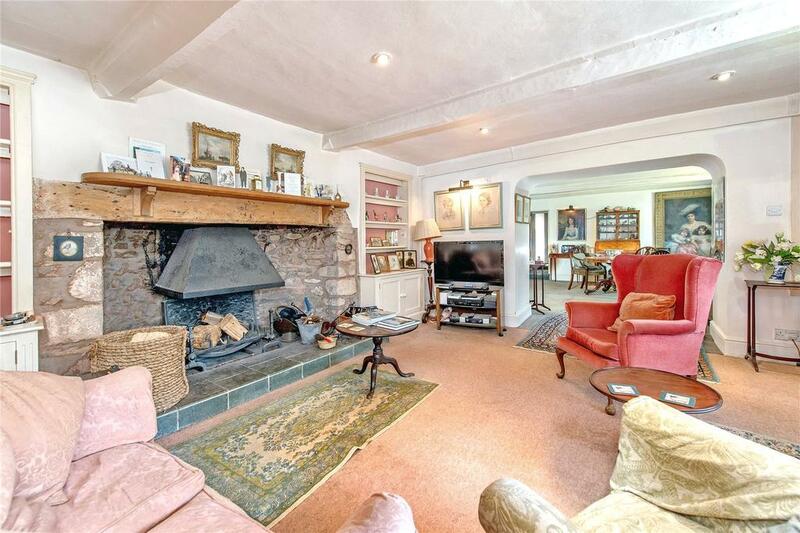 Annie Elwes takes her pick of houses on the market right now in Exmoor, Dartmoor and the Quantocks. 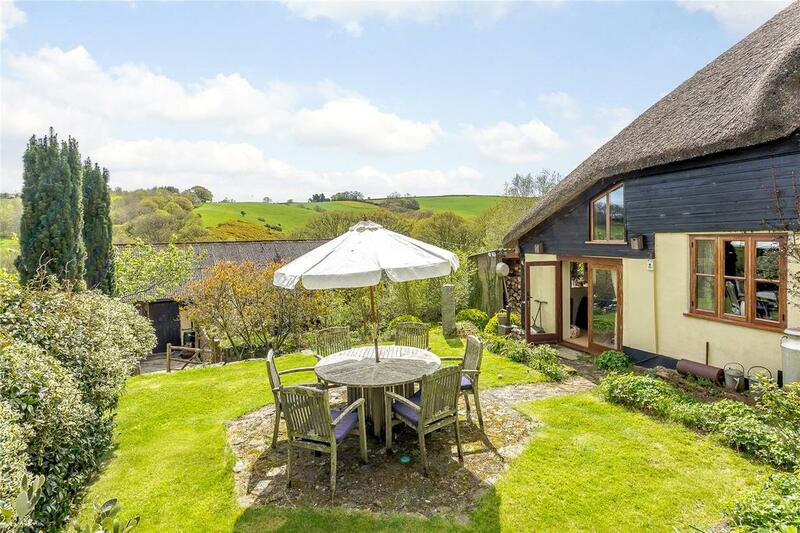 A pretty thatched-barn conversion near Yeoford, on the fringes of Dartmoor in Devon, Berties Cottage has four bedrooms and 1½ acres of ‘enchanting country gardens’ on the hillside, say agents, with an orchard, vegetable patch and paddocks. 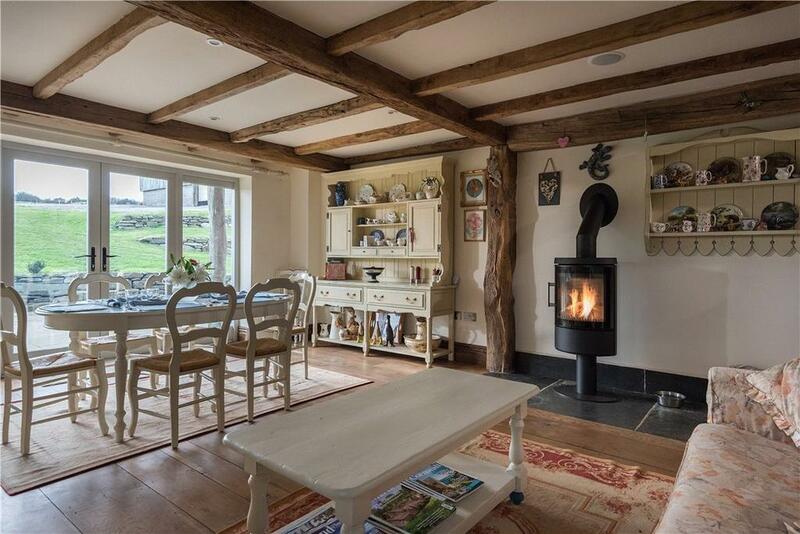 The roof is well maintained and, inside, there are charming exposed beams, floorboards, fireplaces, a woodburning stove and an Aga. 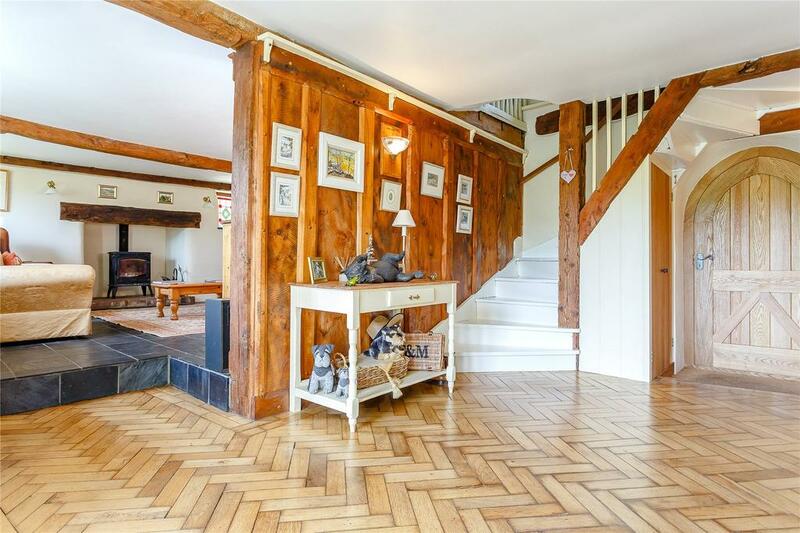 A goat house and two stables and the end of the garden could easily be converted into holiday lets, making this an incredible bargain when you consider how little the same money will buy you in London – as this £600k studio demonstrates.  For sale with Strutt & Parker . See more pictures and details about this property. 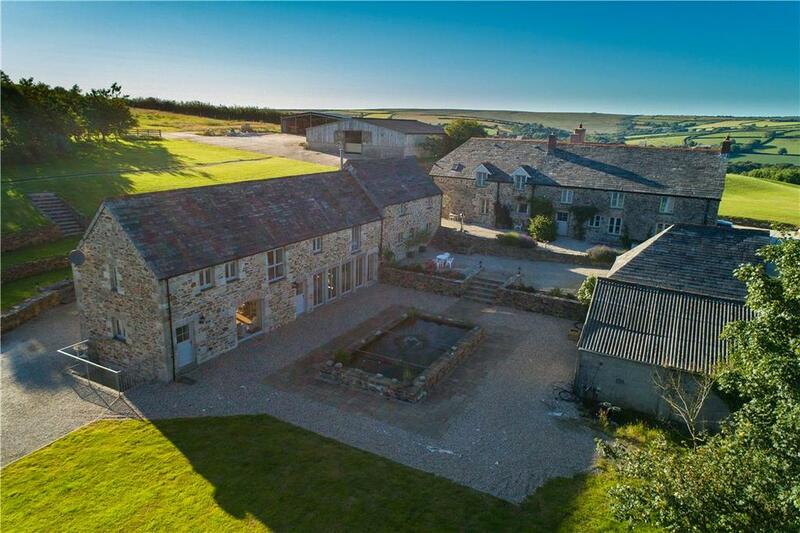 Situated at the heart of about 90 beautiful acres of pasture and farmland, complete with a family shoot and equestrian facilities, Lower Polgrain Farm is ‘an idyllic mini-estate protected by its own land’, say agents. 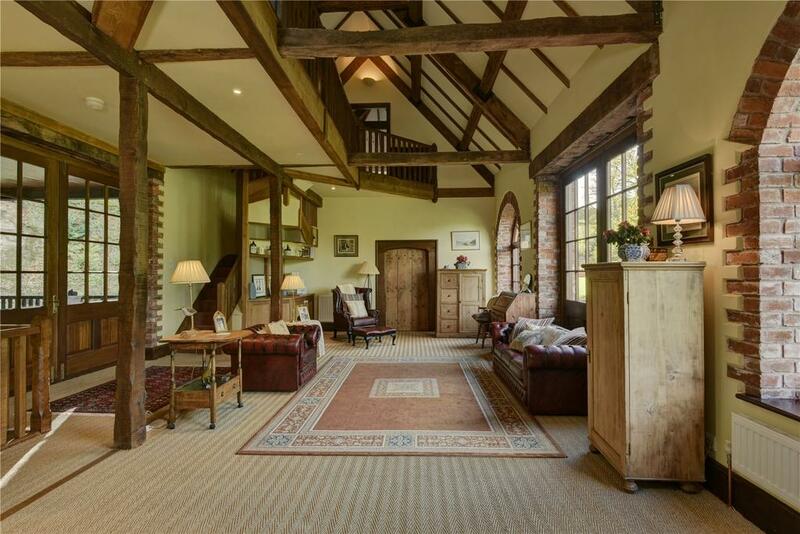 The principal house has five bedrooms and there are a further five created from the conversion of The Old Mill and an adjacent barn. It is located in the village of St Wenn, Cornwall, with Wadebridge about five miles away and Padstow and Rock about 10. Set in some 14 acres in the north-Devon foothills of Exmoor, Elizabethan Whitechapel Manor has been impressively refurbished, with care taken to maintain its historic character. Six reception rooms face south across the formal walled gardens. The 11 en-suite bedrooms, two with dressing rooms, betray the manor’s spell as a country-house hotel (from 1985 to 2000). The market town of South Molton is three miles away. Tucked into the hills above the village of Luxborough, Somerset, Nurcott Farm dates to the 16th century and is unlisted. With fireplaces and three bedrooms, it has outbuildings and two stone holiday cottages (one with five bedrooms, the other two), forming a yard. 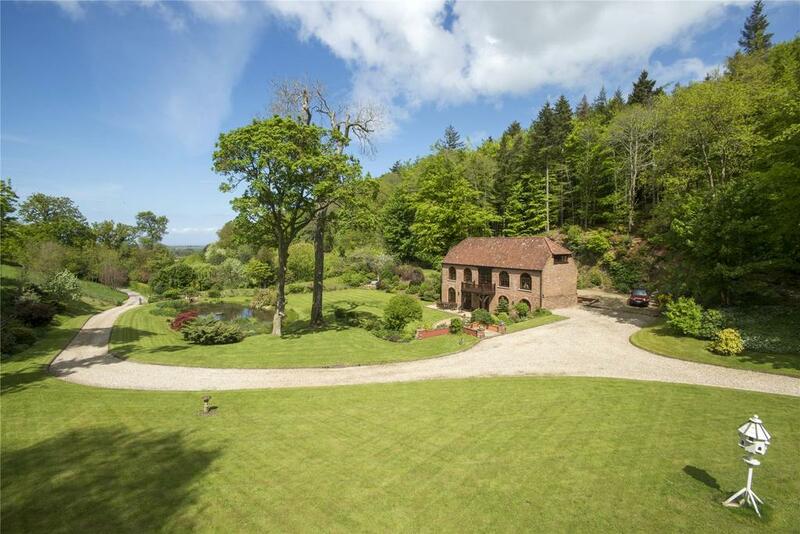 Its 6.8 acres include paddocks and a flight pond and offer views to Dunkery Beacon, the highest point on Exmoor, and over the Bristol Channel to Wales. Taunton is 20 miles away. 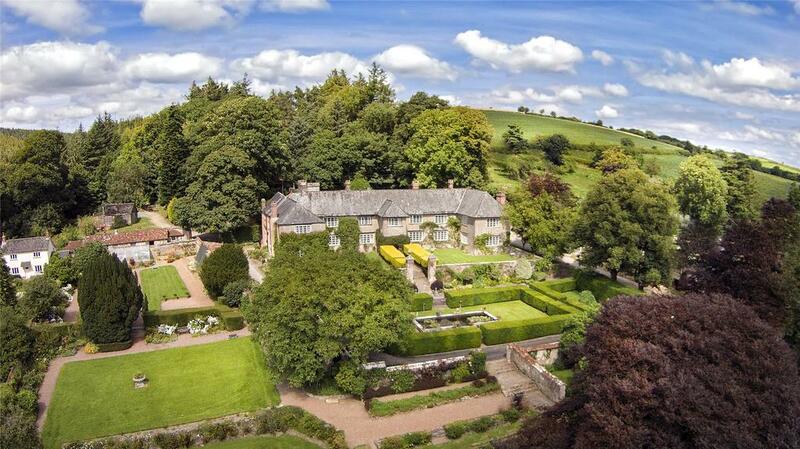 For sale with Greenslade Taylor Hunt. See more pictures and details about this property. In the hidden Somerset village of Goathurst on the edge of the Quantocks, The Arch Barn sits at the end of a drive shared with nearby folly The Temple of Pan (both were once part of the Halswell estate) and is viewed here across the spring-fed lake, with a dramatic backdrop of old quarry and woodland. 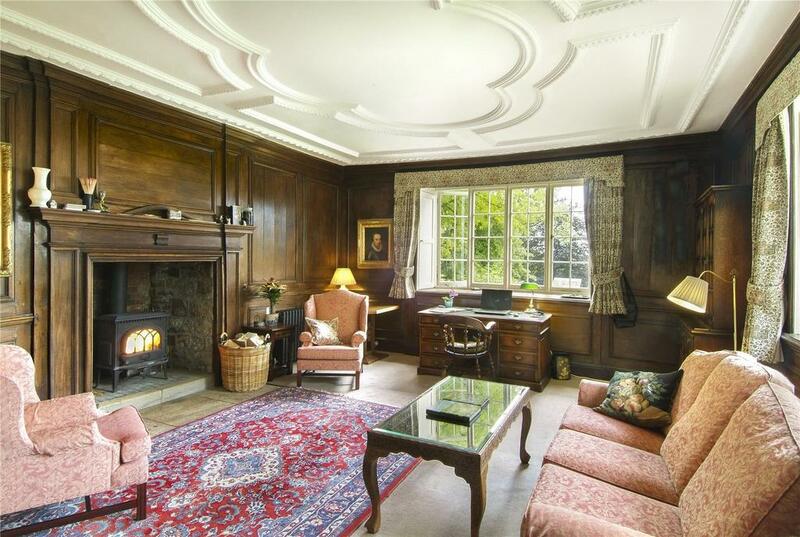 With its eponymous arched windows, galleried drawing room and exposed beams galore, it retains plenty of charm in its conversion. There are four bedrooms, plus a detached guest barn with a balcony, and the property comes with four acres.